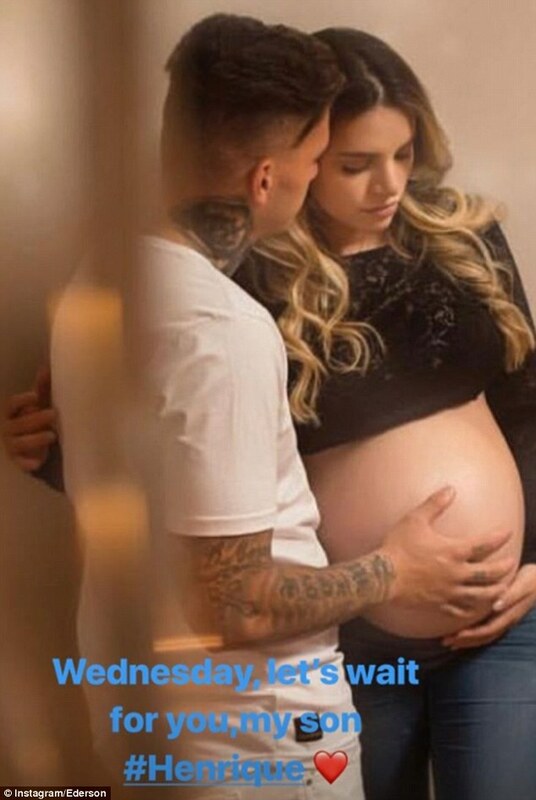 Manchester City goalkeeper Ederson has shared an intimate image of him with wife, Lais, ahead of the birth of his first son. The Brazilian was left out of the national team’s squad as he is expecting his new born to arrive on Wednesday with his partner heavily pregnant. Ederson and Lais already have a daughter named Yasmin, who is just over a year old. Ederson was left out of the Brazil squad for the international break due to the imminent arrival of another child. Brazil beat the USA 2-0 on Saturday without their No 2 shot stopper and face the trip to play El Savador on Tuesday. The 25-year-old is second choice with the national team behind Liverpool’s Alisson, but resumed duties behind the sticks for Man City last month. City’s season has got off to a good start as they mount a title defence and have only dropped two points in four games, after a draw away to Wolves. 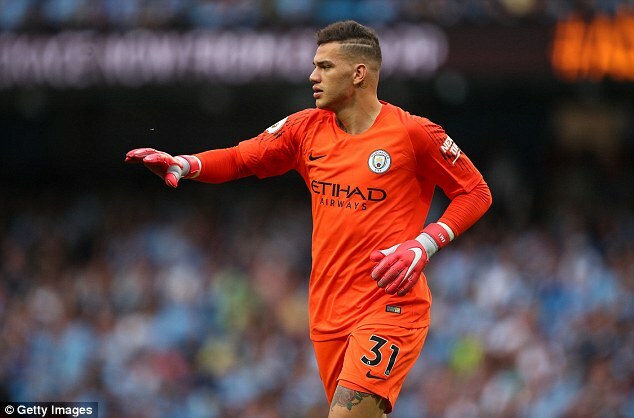 Ederson has kept one clean sheet in the league so far, coming on the first day of the season against Arsenal. Since then he has conceded one goal in each of his past three matches and made a total of five saves. Unlike any other goalkeeper in the league, Ederson has also got himself on the assist charts. It came from a goalkick during the 6-1 mauling of Huddersfield, as he provided a through ball to Sergio Aguero who duly buried it.